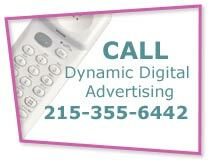 Instantly gain results on search engines with pay-per-click advertising. What is pay-per-click? Essentially, the user decides to pay a certain amount to advertise on search engines like Yahoo! or Google. How much you are willing to pay determines the rank of your advertisement compared to the others. Anytime a user clicks the link, you are charged the amount you bid for that ad space. Dynamic Digital Advertising offers a pay-per-click management program to manage the funding and tracking of every click on your advertisements. Recently, Google announced the launch of Click-to-Pay Video ads. These video ads run along side the text ads currently supported by the Google network and will give the user complete control over the ad. Ads will not play until a user clicks the ad, and they will have the option to adjust volume, pause, advance the video, or click through to the advertised website. DDA offers management of the click-to-play video service to create compelling short advertisements for your corporate or medical products or services. Whether you need product demonstration video ads, medical device video ads, website promotion video ads, or testimonial video ads, DDA is equipped to handle it all. By advertising through Google Adwords with video, your company will instantly gain recognition when a user searches for keywords related to your products or services. By enlisting the pay-per-click management services of DDA, a full-service advertising agency, you’ll gain the extensive knowledge of an organic search engine optimization and online marketing agency with the power to create custom video productions. As a leading pioneer of search engine optimization tactics, we understand what it takes to successfully market your website and see high traffic and better returns. Let DDA Video create the compelling video you’ve always wanted to promote your company. Then, let us continue that promotion by managing the click-to-pay video ad service from Google and help you reach the top of search engine results. Not only will Internet users find your website, but they will also be drawn to your company from the exciting video that follows the ad. If pay-per-click marketing is not for you, then try Dynamic Digital Advertising’s organic search engine marketing program. Using a combination of marketing techniques, DDA has successfully led countless clients to the top rankings of popular search engines without the price of pay-per-click advertising. Read more about our search engine optimization techniques in our Search Engine Marketing service pages.